This post may contain affiliate links. If you purchase something through these links, I may receive a commission at no extra charge to you. For more information, see my full disclosures HERE. 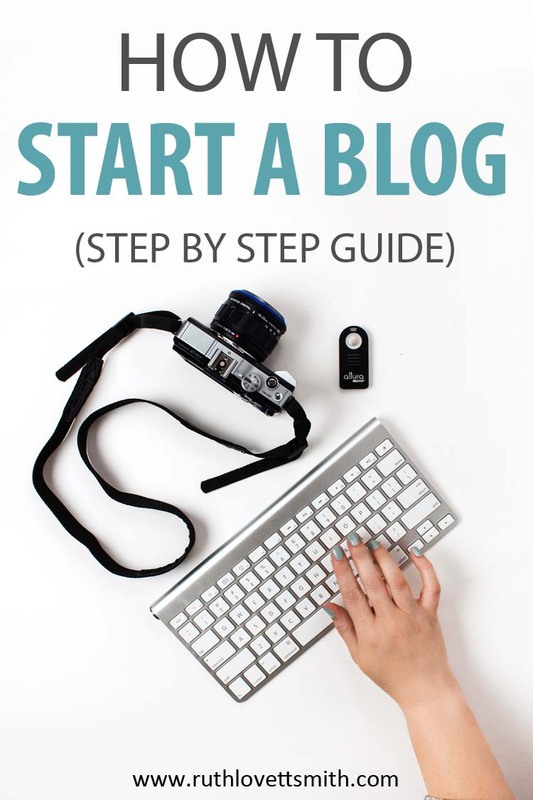 Learn how to start a blog with this beginner’s guide. I’ll take you step by step through the process. Now is the time to start your own blog and make money. You’ve decided to start a blog. Now what? Don’t worry, it’s easier than you think. I’ll take you step by step through the process of how to start a blog with this beginner’s guide. If you are still on the fence about whether or not you should start a blog, read my post Why You Should Start a Blog. This guide will cover how to start a self hosted blog with WordPress. However, you can also apply this guide to other blogging platforms as well. To start a blog, the first thing you’ll want is a domain name. Your domain name is the address of your blog. Choose wisely as this is the address people will type in to access your blog. The best business domain names are somewhat short, easy to type and read, relevant to the blog, and are without dashes, numbers, and symbols. For example: Julie’s Creative Cards = juliescreativecards.com. You can certainly use an interesting or abstract domain name as well. For example, a personal travel blog might have the title: Willow’s Wanderlust = willowswanderlust. Check out my post on creative blog names for more information on choosing a blog and domain name. If you are using WordPress as your blogging platform (WordPress.org) your domain name and address are yours. 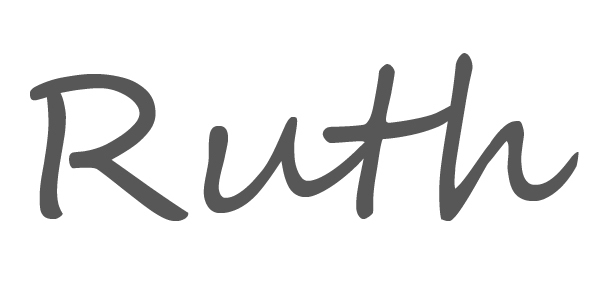 (My site is: ruthlovettsmith.com). 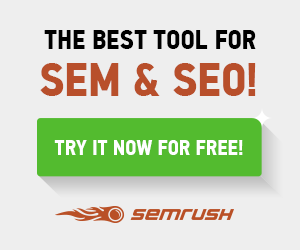 If you are using another blogging platform, (WordPress.com, Blogger, etc.) your domain name will look something like: ruthlovettsmith.blogspot.com. Not very pretty and not great if you are starting a business. Keep in mind that while WordPress is free to use, a self hosted website means you’ll need to pay for hosting services. There are many inexpensive hosting options that I will cover next. 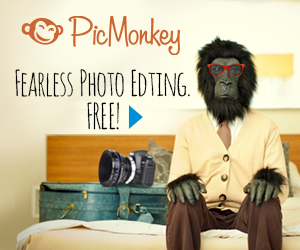 However, if money is an issue, you may want to go with a free hosting blogging platform. Just remember that your domain name will include the blogging platforms name as well and that you won’t own the name. Once you’ve chosen your domain name, you’ll want to make sure it’s available. Simply visit whois.net and type in the domain. If the domain name is taken, you will get a page that says that the name is already registered. If the domain name is available, you will get a page that says it’s available. Keep in mind that if you really love your domain name and it’s available, you’ll want to purchase it immediately as domain names go fast. Some people choose to purchase their domain name through the same company they use to host their website. Some hosting companies even offer free domains with their packages. I personally prefer to keep the two separate and use GoDaddy for all of my domain name purchases. GoDaddy is easy to use and often has discounts. Do an internet search for “GoDaddy Discounts” prior to purchasing your domain name. There are numerous hosting options and companies available when you start a blog. One that I’ve used for years is Bluehost.com. Not only are they reasonably priced, they offer 24/7 support, their user panel is easy to use, and they offer a 1-click install of WordPress. You can start your blog today and get web hosting as low as $3.95 a month by clicking on Bluehost.com. The link will open a new window so that you can refer to these instructions as you work. Simply click on the green “Get Started Now” button. 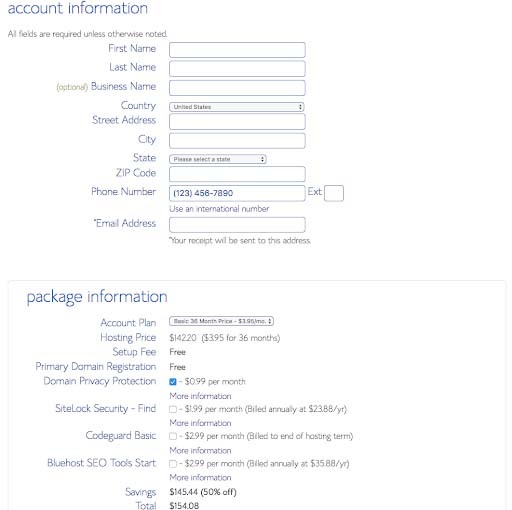 Disclaimer: If you do choose to go with BlueHost, I will earn a commission. There are other hosting options available. 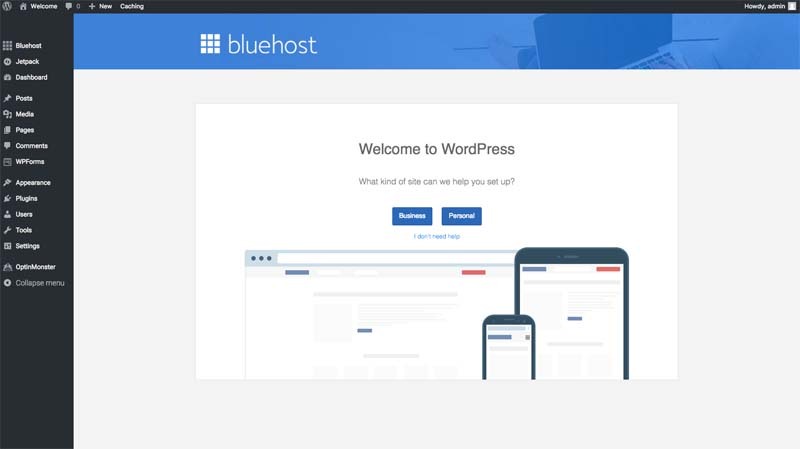 However, Bluehost is my recommendation based on my experiences with them. If you do join Bluehost through my affiliate link, thank you so much for your support! Now that you’ve chosen your host, you’ll want to select a hosting plan. Your choice will depend on your budget and what services you need. 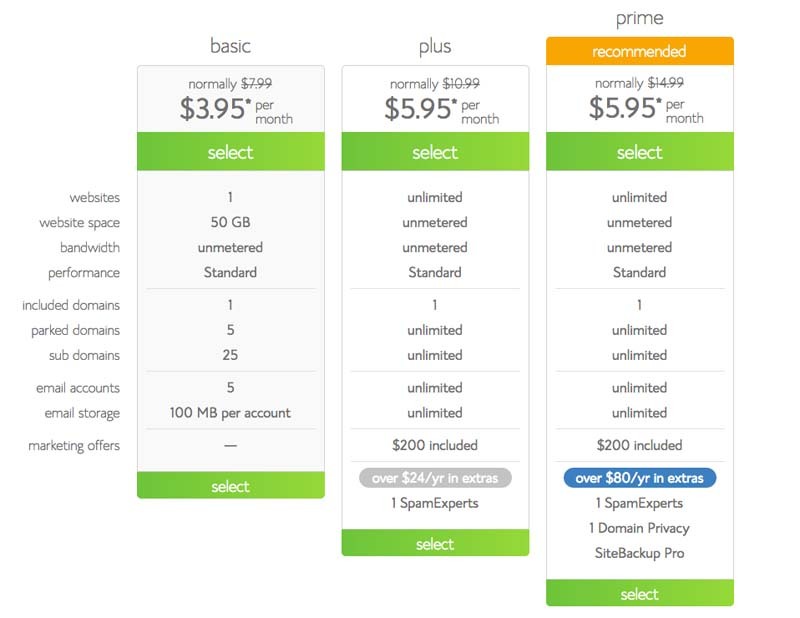 I highly recommend going with the plus or prime plan as you’ll receive more unlimited features. If you’ve already purchased your domain name, as outlined above, you can enter it in the “I have a domain name section”. If you did not, you can get a new domain name now. You may also get a pop up that gives you the option to choose a domain name later. If you are still unsure about your domain name, choose that option for now. On the next page you’ll be prompted to enter your account info. It’s important that all of this information is correct and up to date, including your email address. 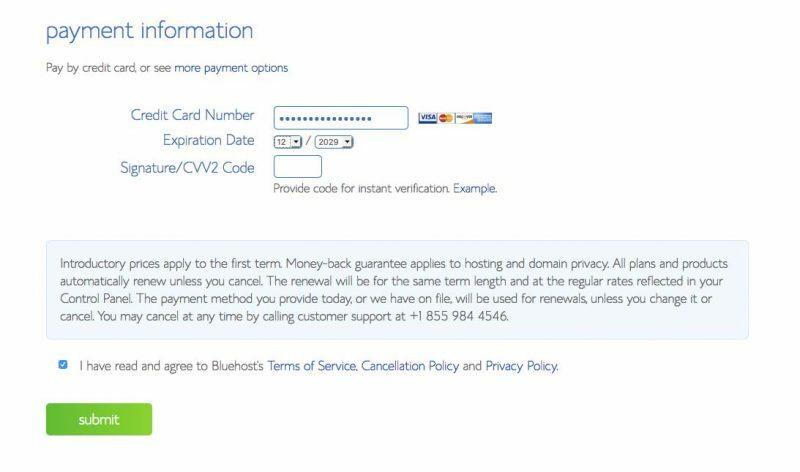 Bluehost will use this email address to send you important information and updates. You’ll also want to review your package information. I highly recommend domain privacy as this keeps your personal information private. If you are using a business address, and don’t mind it being shared, you do not need domain privacy. Finally you’ll be asked to enter your payment information. 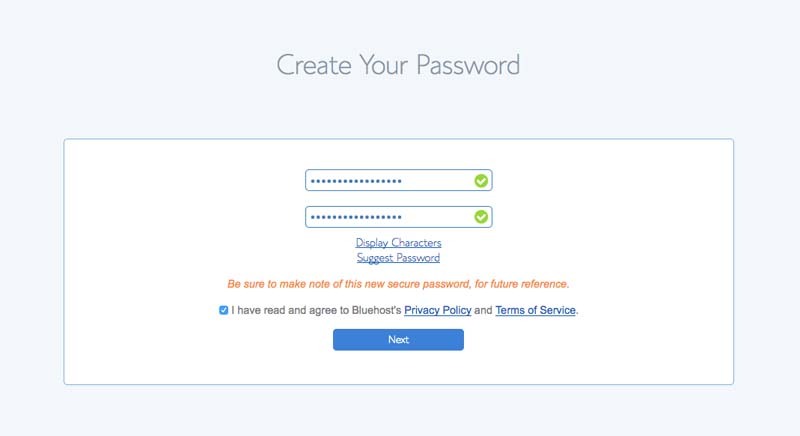 Next you’ll be prompted to create a password. I suggest you skip the Free Themes page. WordPress comes preinstalled with a basic theme that can get you started. Once you familiarize yourself with WordPress, you can look into changing your theme. Your next step will be to start building your blog. To do so, click on the “Start Building” button. The image above is the WordPress Dashboard. Here (on the left hand side) is where you add pages, posts, and build your blog. I recommend you click on the “I don’t need help” button in the middle. 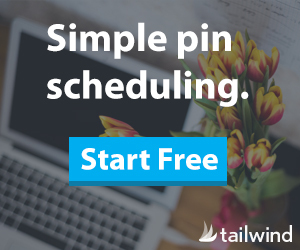 This will ensure you start your blog with a clean slate. If you opted not to install WordPress, using the steps above, you can also follow the additional instructions below. Once you’ve completed the above steps, you can start designing and adding content to your blog. This is the fun part and where you can get really creative. This is where you will enter your username and password. Once you are logged in, you can add posts, pages, and content to your site. You can also change your blog theme and add various Plugins. There are numerous free themes, and even more themes that you can purchase. The key to choosing a theme is to think about what you want your website and blog to do, as well as how you want it to look. Some themes are basic, and others offer numerous layout and color options. If you are looking to build a creative blog, you’ll want to choose your blog theme wisely. Will your theme support a portfolio or online shop? Can you change the colors and fonts? Having gone through several themes, since I started blogging in 2009, I’ve finally settled upon the Genesis Framework. You can read more about the Genesis Framework and why I use it by clicking on Why I Use the Genesis Framework for My Website. I was most recently using the Bloom Theme, from Restored 316, for over two years and have been extremely happy with it. However, to mix things up a bit, I switched to the Captivating Theme, also by Restored 316. Restored 316 also offer numerous other themes that are perfect for creatives. They even have a super cool Which theme is best for your website? Quiz that can help you decide which theme will work for you. 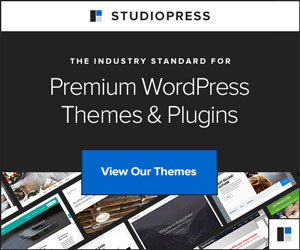 There is so much you can do with WordPress, and there are so many beautiful themes available, that I can’t cover every single detail here. However, visit and bookmark my Business and Blogging Tips page for more blogging information and tips. It’s a great resource that I update regularly.